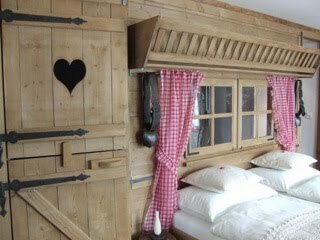 Our little Hotel Bellevue Crystal in Mürren sent us these photos. 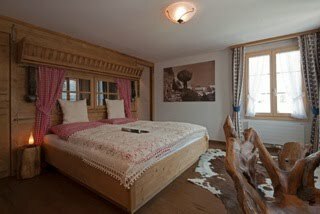 Hotel proprietors, Ruth and Othmar Suter, recently remodeled the honeymoon suite. 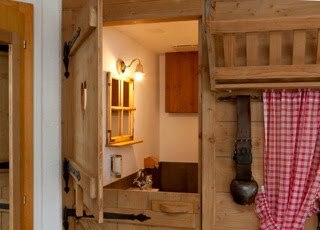 Notice the little half doors that open to the bathroom. Oh the possibilities! The Hotel Bellevue Crystal is a member of Small Elegant Hotels Worldwide. 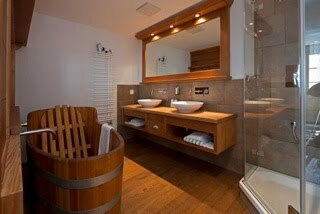 That’s a wooden bathtub in case you’re wondering.